Celebrate special occasions with the gift of God's Word. Choose the perfect gift for any celebration in life-from graduation, confirmation, and award ceremonies to celebrating family and friendships-with Thomas Nelson's Gift & Award Bible. Select from a variety of colors and bindings, all featuring bright, clean, and easy-to-read pages. 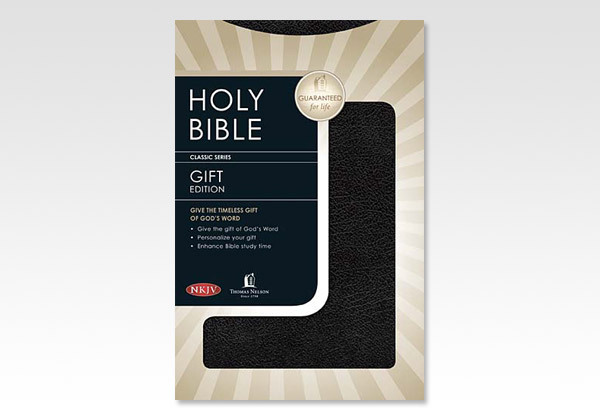 Personalize your gift with the recipient's name on the cover for a Bible that will be cherished for years to come. Give the gift of God's Word-beautiful meaning, quality craftsmanship, and a timeless treasure.